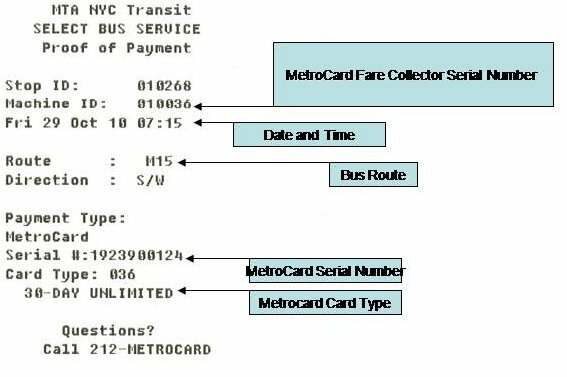 Use this form to file a claim if your MetroCard was not returned from a MetroCard Fare Collector Machine located at a Select Bus Service bus stop. * 1. You are reporting that your FULL FARE OR FAIR FARES MetroCard was captured by an SBS MetroCard Fare Collector Machine. NOTE: If your MetroCard was not captured by an SBS Machine, do not fill out this form. Please contact MetroCard Customer Service at 718-330-1234 or 511 in the New York area, 7 days a week, 6am to 10pm. NOTE: If you are a Reduced Fare participant DO NOT fill out this form. Click here to be redirected to the Lost Or Stolen Reduced Fare form.